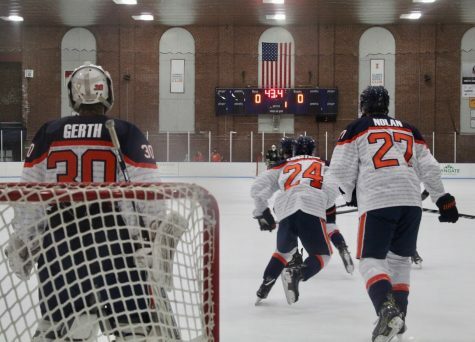 The two lovebirds first met eyes when they were playing for Team Illinois in 2011. 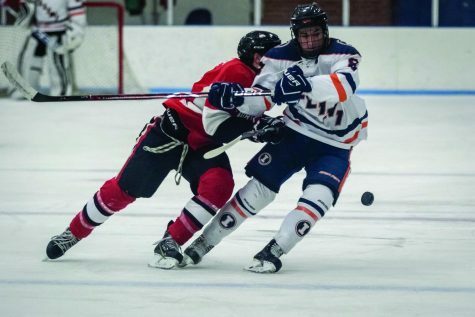 Cruickshank was playing on the U18 team, and Stueve was playing on the U16 team. They went up to a lake house that summer where the two truly first met. 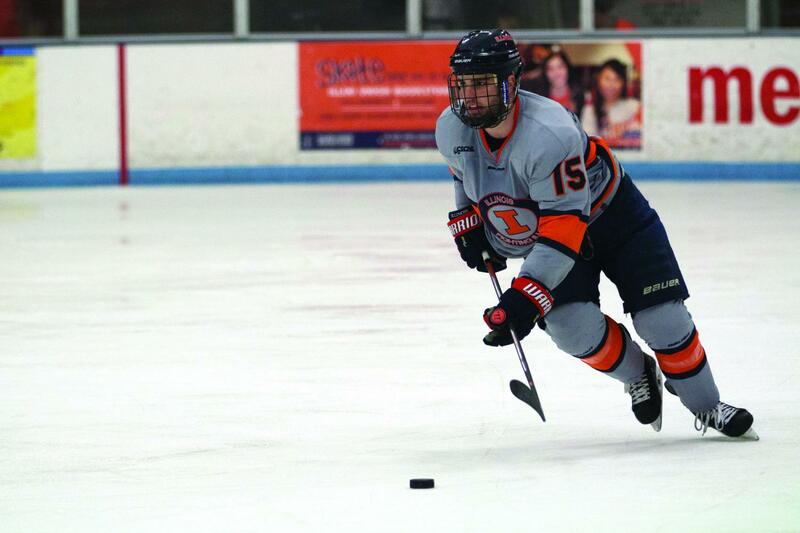 It wasn’t until the Bloomington Steel tryout that year that Stueve and Cruickshank really got a first impression of the chemistry that was about to develop on and off the ice. Cruickshank remembered things going a little differently. However, like any true love story, our protagonists inevitably ended up getting separated from each other. 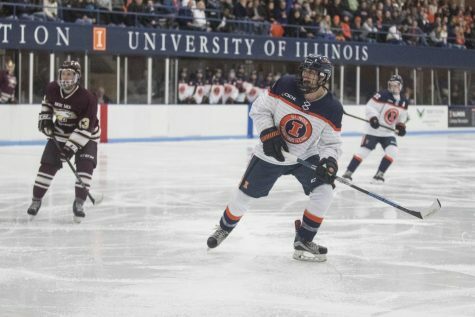 After they both got cut from the Bloomington tryouts, the two did not cross paths for roughly three and a half years, until they came to play for Illinois. 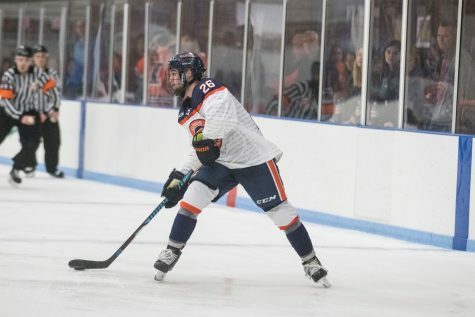 Stueve’s cousin, former Illini hockey forward Austin Zima, basically recruited him to join the team, telling him that if he got into the University, he should give Illinois head coach Nick Fabbrini a call. 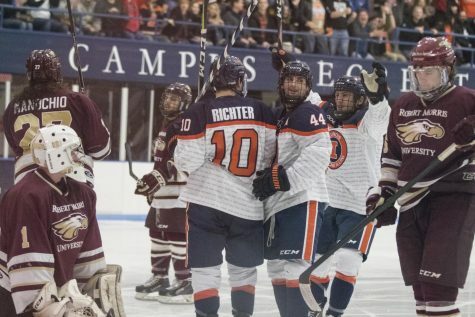 Cruickshank was already a member of the team, and once Stueve arrived, they both felt like they were able to pick up right from where they left off. Their relationship soon became more than just business as the two are now living together. 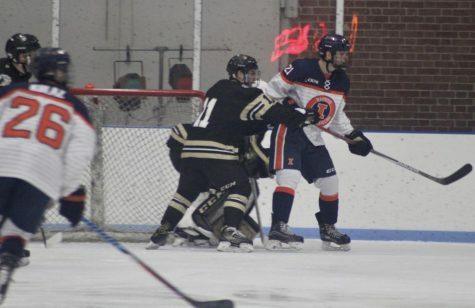 Sparks are always flying between Cruickshank and Stueve, and it is something that senior defenseman and team captain Joey Ritondale has noticed. From the way Ritondale was initially talking about them, it seemed like there could be a real love triangle brewing, but he clarified that he is more interested in pinning Cruickshank and Stueve against each other. 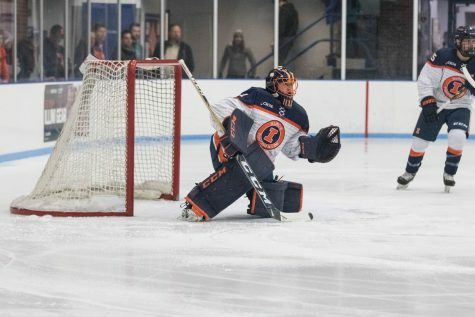 In their final season as members of the team, Cruickshank and Stueve are connecting on all cylinders as expected. 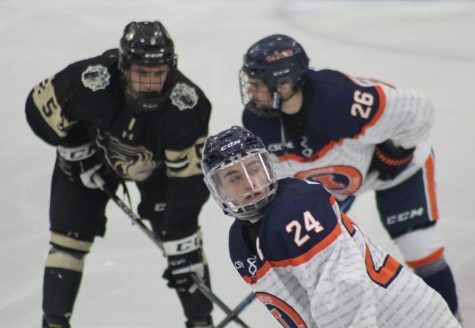 Both have four points each to their names, Cruickshank with three goals and an assist and Stueve with one goal and three assists through the five games so far this year. But once their lives outside of the University start to take off, it is still up in the air if the bromance will endure. “I hope not,” Stueve joked.